Space pictures retouched? It's a conspiracy! 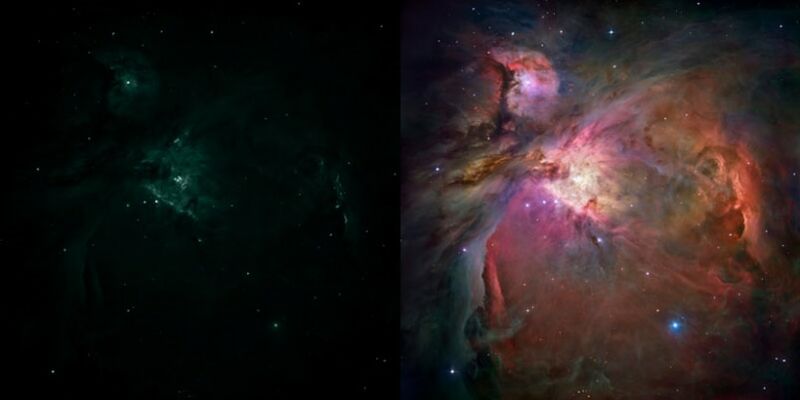 These side-by-side images show the Orion Nebula as it would look to the human eye through a telescope (left image) and how it looks to a digital camera through a telescope once the image undergoes additional processing (right).